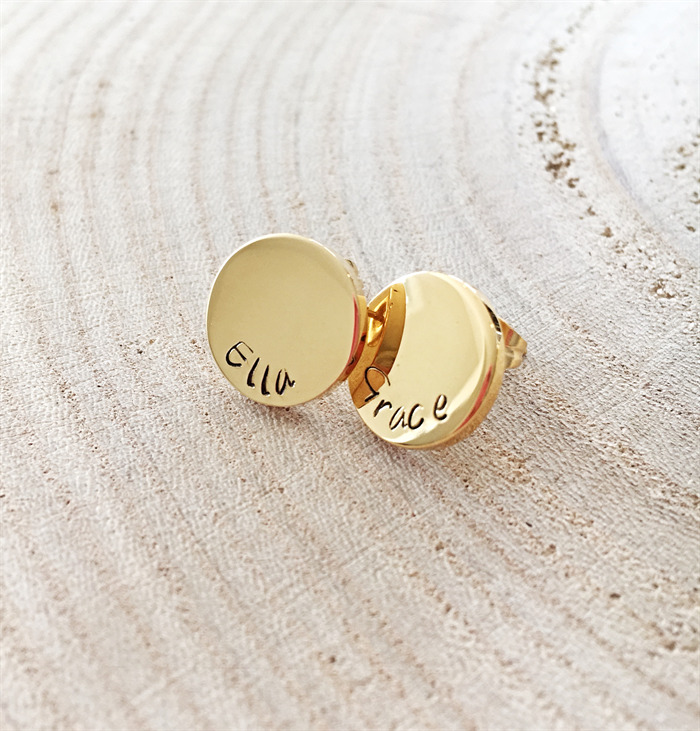 These beautiful studs measure 13mm and have a flat front that can be stamped with approximately 10 characters. 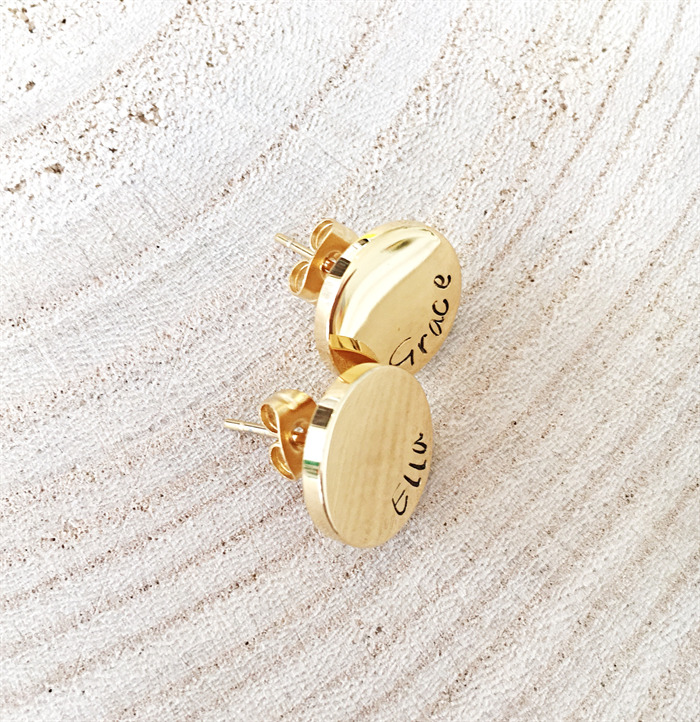 These would make a perfect gift for any mom for Mothers Day and you may choose names or special words or dates to have stamped. Please let me know in the message to seller section at checkout what you would like stamped. 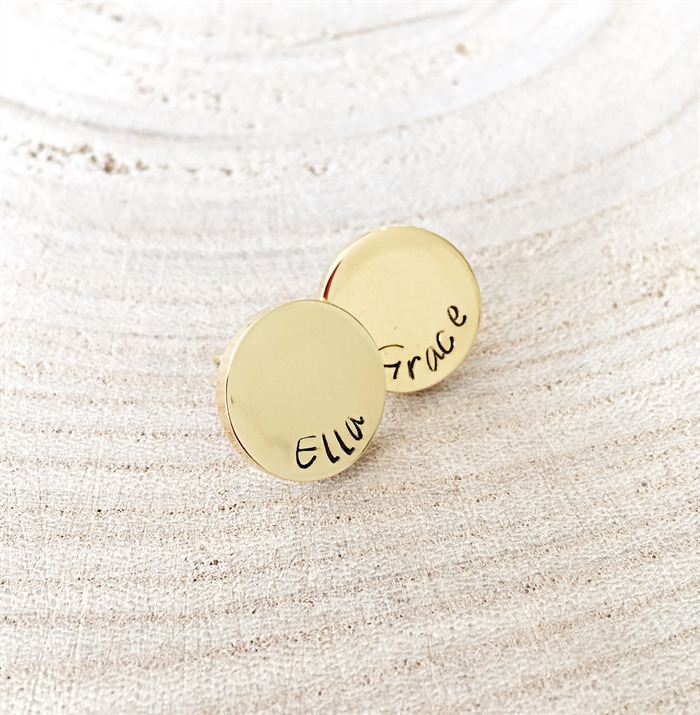 These are stainless steel studs and are therefore low allergen, great for those who can't wear allergen metals. Available in rose gold, yellow gold (both IP plated stainless) and silver.